i love the outfit tres stunning!!! i have those ankle boots also xoxo! great outfit! i simply adore thoose wedges! First of all i have to say i really love your hair, how do you obtain this effect? is perfect!!! and the color too!!! Btw, this boots are greats, i think with them you can wear anything!! awesome outfit where im at its crazy hot and i wear sandals everyday!! 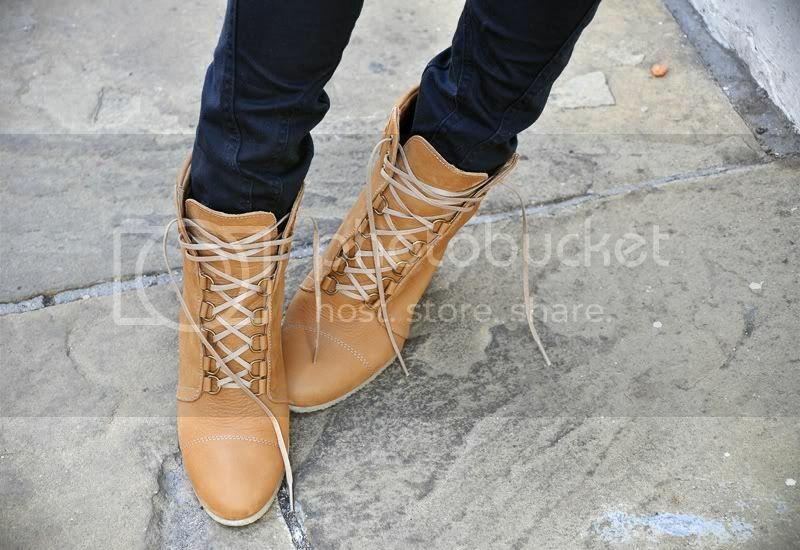 I just found your blog through chictopia and I can't tell you how in LOVE with your boots I am! I actually just did a post about lace-up boots today - so obsessed - and yours are so gorgeous! Your blog is fantastic, definitely following you now! very cute boots indeed! same feeling about hot weather.. as much as i want to dress up all my energy is drained and i just end up wearing rompers and shorts. Love your shoes! You look amazing as always...your stunning hair, amazing make-up, pretty face, gorgeous style....Love it! you're one of the most beautiful girls I've ever seen. love your style. I have those boots too! We seem to have a similar shoe collection. Aren't those boots the best? and so comfortable. I've not really worn mine yet because it's about 249 degrees in NY so not so practical. I'll be all over them when it cools down though. One of Zara's best designs. I just discovered your blog! I love it! I'm already fan of yours !!!!!! !